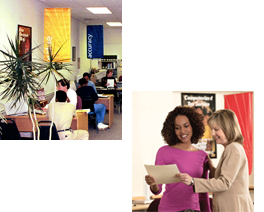 If you are looking for information on the Jackson Hewitt franchise business opportunity, Jackson Hewitt Tax Service franchises or Jackson Hewitt Income Tax Service franchising, then you have come to the right place. Open the door to opportunity with the #1 tax preparation franchise*! 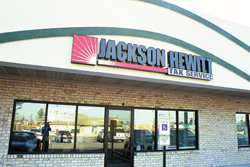 You could open your first Jackson Hewitt Tax Service® office by January 2009. 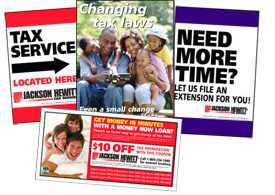 Jackson Hewitt Tax Service is an industry leader, with approximately 6,800 offices across the country during the 2008 tax season. Our success comes from more than two decades of experience offering tax-related products and services to customers, and the unflagging support we provide our franchisees. Entrepreneur magazine has ranked Jackson Hewitt® the #1 tax preparation franchise for the past 15 years. You do not need to be a CPA, or possess prior tax industry experience to be considered for a Jackson Hewitt franchise. If you have strong business acumen, an average of $75,000 to invest in a start-up venture, and the financial wherewithal to expand your business, then contact us today. A Jackson Hewitt Qualifying Specialist is ready to speak with you about available opportunities. Jackson Hewitt also provides development funds to help qualified entrepreneurs get started. *Jackson Hewitt Tax Service was ranked the #1 tax preparation franchise for the 15th consecutive year in Entrepreneur magazine's Annual Franchise 500 list (January 2008).